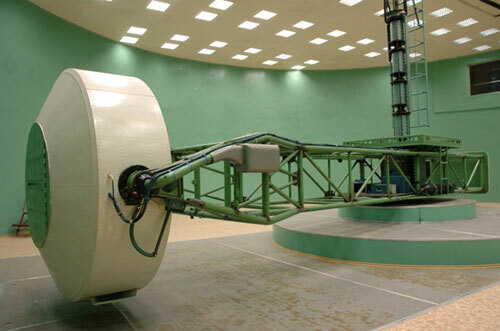 Centrifuges and centrifuge-based simulators are used for improving cosmonauts’ G-tolerance capabilities. Improvement of a human body capability for adaptation to g-loads by means of objective training in a centrifuge is associated with displaying the latent mechanism of blood redistribution which triggers when blood circulation is distressed. When g-loads are applied regularly new behavior reflex links are formed in the operator’s central nervous system. These links activates when g-loads grow. Thus g-tolerance may be improved by 1.5-2 units. To test aeronautical and space engineering models. 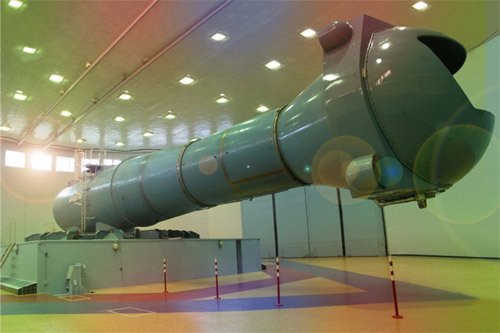 At present the CF-7 simulator-centrifuge is used for cosmonaut candidate selection, training them within different programs, and pilots training for the purpose of the Air Force needs. The second centrifuge - CF-18, intended for cosmonaut selection and training under the effect of simulated spaceflight factors, was put in operation in 1980. Linear G-loads, physiological weightlessness, reduced pressure, humidity and temperature variations, and air composition are simulated in the cabin of the centrifuge. The CF-18 centrifuge has 3 changeable cabins (А, В, Д). Cabin A is used for different research and cosmonaut training and includes 2 work stations. Cabin B is intended for conduction specific medical investigations and includes X-ray equipment. Cabin Д is intended for simulation exercises of a spacecraft control during descent phase and includes a mockup of a manned spacecraft work station.